India’s biggest fitness model hunt 'FitFactor India- Auditions' took Hyderabad by storm today.Created by the Indian edition of UK's premier health and fitness brand- BodyPower, the multi-city search aims to select the best fitness models and athletes from all over India and groom them under the guidance of expert trainers to compete with athletes on an international platform. 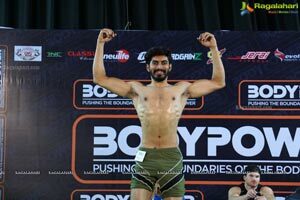 The Hyderabad auditions witnessed a huge number of talented and budding bodybuilding enthusiasts participate in huge numbers to showcase their fitness prowess and win a chance to compete at Asia's largest Fitness, Sports & Bodybuilding Expo- BodyPower Expo 2016.FitFactor has successfully selected gifted athletes from (City Name) who will participate in the finale expo in January, 2016. 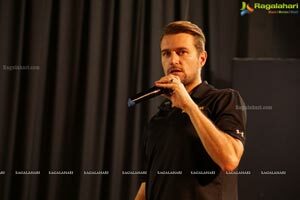 The BodyPower team, (along with CEO Nick Orton/ Ollie Upton)spread the BodyPower message of'health and fitness' in the city and patronized youth who have the talent and spark to make it on international ground of Body Building, The event saw a detailed educational session on BodyPower and sessions by renowned International Athletes (name of the int athletes in the city) and Indian athletes followed by the auditions by participants. Starting 3rd October the team embarked on a nine city tour for fitness model talent hunt and educational tour. 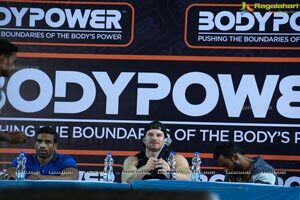 Expressing excitement about the multicity tour and the upcoming expo in January 2016, Nick Orton, CEO of BodyPower said, “BodyPower Expo 2016 is going to be much bigger and better than ever before! We are also very excited to begin with the pan-India tour. I am happy to see aspiring athletes following their dream and participating an international platform to showcase their talent and effort with this tour.!" The BodyPower expo is a premier event in the Wellness, Health & Fitness industry. Growing at a break-neck speed, it is already worth well over six hundred crores. It is the perfect platform for leading sports nutrition, fitness equipment, vitamins and apparel brands to promote their products and services to an audience comprising of thousands of key business decision makers, trade delegates and enthusiastic consumers from India, Pakistan, Bangladesh, Thailand, Singapore, Malaysia and fJAE. Taking place annually in January (8-10th2016) at the BEC, Mumbai, the show offers unrivalled opportunities for brands to gain exposure to thousands of health and fitness conscious individuals. With a large number of visitors from the industry, it really is, a perfect opportunity to deal directly with a retailer, gym manager, group buyer, health centre, Practitioner, PT and distributers.